Running away from home age 14. Dropping out after the 10th grade. Overdosing on drugs at 18. 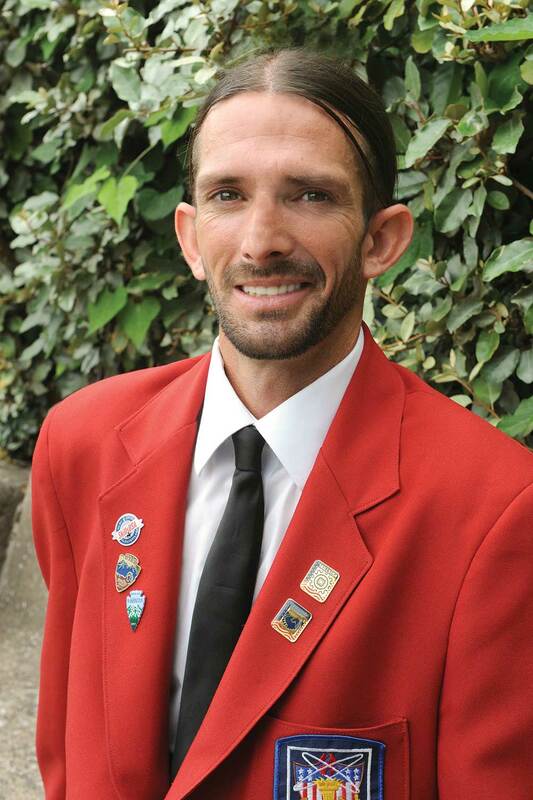 Despite life’s most difficult setbacks, Ryan Fleenor never lost his entrepreneurial spirit. Now 33, the Utah native has his own business, FleenorMade Products, using mechanical engineering skills to build patio furniture. He works two jobs and freelances in architectural design, giving clients confidence in the homebuilding process from start to finish. As a teenager, he was always busy, whether building treehouses or thinking up ways to earn spending money. It didn’t bother Fleenor that his friends didn’t share his enthusiasm. “When I was 14, I was mowing lawns to get my first car,” he says. “So, when I turned 16, I had my own vehicle. I mean, I paid for it myself.” He soon took off for Wyoming, where his sister had moved. Quitting high school and moving into his own apartment, the teenager found work framing houses. “My dad was a framer, builder. All my brothers were, and I remember hanging out on the job sites as a kid,” he explains. Then came another major setback. “Right after I got my diploma, I actually fell on a job site where I broke my back, my neck, my sternum, my left arm. I had ribs going through my lungs,” he says. Surprisingly, this turned his life around. “I ended up going to vocational rehab in Utah, and they suggested that they could help get me into an education,” adds the Springville resident. 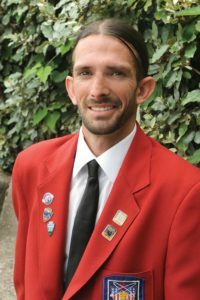 In his first year at Utah Valley University, he met professor Darin Taylor, a former SkillsUSA medalist. 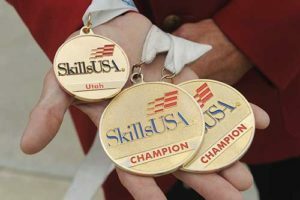 “He asked me to compete, and what changed me was SkillsUSA,” Fleenor says. His team won national gold medals in Engineering Technology/Design for two straight years (pictured above). After the first medal, “my school gave me a scholarship,” he says. “If it wasn’t for that, I wouldn’t have been able to pay for my education to continue on.” He earned an associate degree in drafting technology and, this spring, will graduate with his bachelor’s in technology management.